ROMAN GLADIUS type Pompei. 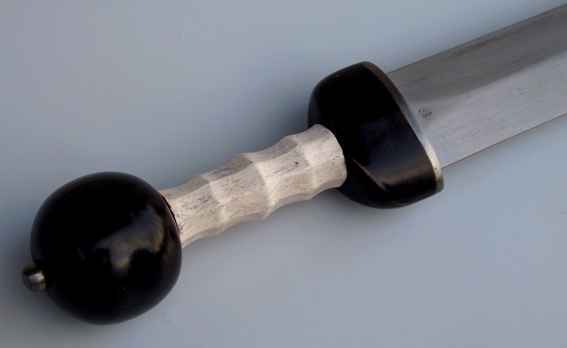 Lacquered wooden hilt. Overall lenght cm 68, weight 790 gr.. Wooden scabbard covered with leather and brass, with decorated fittings.